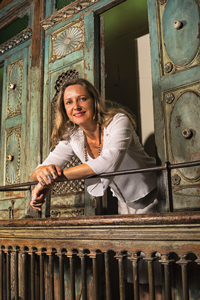 With a special collection of antique Indian furnishings and architectural accessories, the decor boutique Ritual works with clients locally and internationally to find the perfect piece of history to complement their design project. It could be a gate from a palace in the desert, a stone portal from a village on the spice route, or a ceremonial necklace from the tribal hills of Myanmar—an art piece for every taste, function and application. If it’s not in Ritual’s showroom in La Antigua Guatemala, owner Christina Kerndal and her sales team will find it or fashion it. Why did you choose Antigua for Ritual’s location? Antigua has always had a special place in my heart, since I came here the first time in 1990. But I think Antigua kind of chose me, in that clients asked me to bring furniture back, because there was not anywhere else to buy it at the time. I was more than happy to oblige. How does the Asia-Antigua vibe mesh? 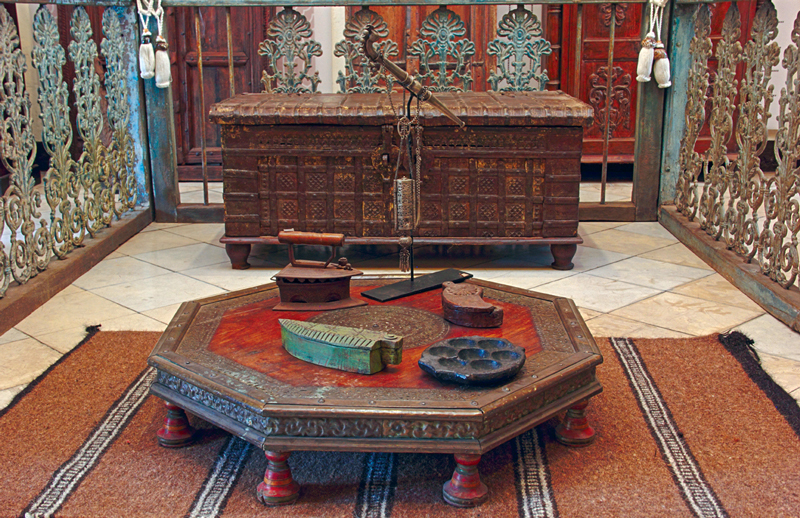 Since the Spanish colonial style goes so well with the carved wood style of India and Indonesia where we bring our furnishings from, it was an instant match. People may want to mix the style with some modern pieces as trends go, but we can help find the right accent table or a statement door to make a perfect balance of new and antique. 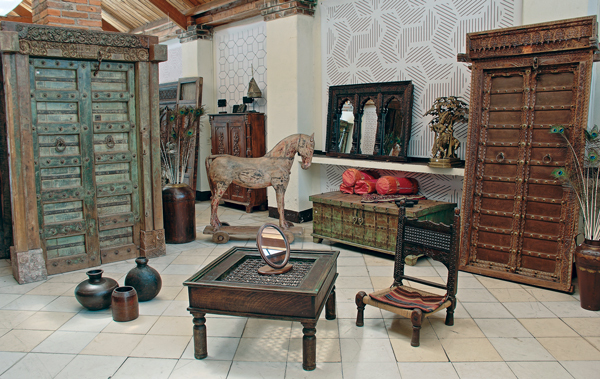 How did you develop an interest in Asian furnishings and decor? I have always been fascinated with ethnographic art, antiques and textiles. I started my textile collection at 5 years old when my uncles and aunts, who were stationed in Africa and Asia, would bring me pieces and outfits from their travels. My mom furthered that interest by exposing us to museums and in my childhood home in Rungsted, Denmark she created magical Silk Road travels throughout the living room and gardens. I was a dreamer of great tales. My parents also bought me my first small Persian rug when I was 7. I still have it hanging on my wall in my own house. In 2000, I went on my first around-the-world trip and when arriving to India I just fell in love with all the beautiful handcrafted furniture, handicrafts and gorgeous hand embroidery. I would spend four to eight weeks a year from then on, traveling and buying treasures for my stores. I always feel such joy finding that unique piece each time, but am equally delighted to see when it ends up in a home being appreciated by the owners. This has allowed me to visit more than 40 countries and of that, I am so very grateful. When did you open Ritual? After opening Etnika in 2001, I realized that many of my clients were eager to find similar furniture to what I had used to furnish the store, so I opened up Ritual in 2005. We have been working with many architects and interior designers, as well as private clients, ever since. What are most customers looking for? 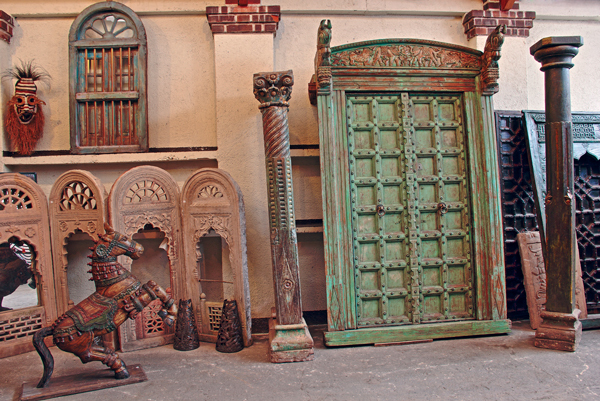 We are best known for our high-quality, beautifully carved antique entrance gates and arches, but of course all sizes of tables and armoires are very popular. I have always looked for one-of-a-kind items for my clientele, something they don’t see anywhere else in stores, be it a bridal carrier, an entire front of a mansion. Our clients like pieces with a story, high quality and unique design. What’s the most unusual request you’ve ever had? We get requests for transforming a piece to something entirely different all the time. Our team is very good at coming up with ideas as well. For example, someone wanted balcony windows made into headboards for several beds. They turned out so beautiful. A stone entrance arch made into a fireplace or a water fountain, the list goes on. You just use your imagination or tell us your specific requirements and we will happily create it with or for you.